I just wanted to take a moment to thank all of you at TCG for the wonderful experience you provided us during our seven day tour of Beijing and Xian. Our personal guide Christine in Beijing was simply the best, Her charm and knowledge of the cities sites are amazing, Her humor mixed with a very entertaining and informative personality made us feel very much at home. She is a wonderful asset to your company and we were lucky to have had her guide us. Then we went to Xian and met Jerry much the same should be said about him, He was able to keep us entertained as well having a very good understanding of the surrounding. He was able to answer all of questions at the Terra Cotta Warriors. I think we must of drove him crazy but he never lost patience with us. He also has very good use of the English language. The entire Travel China Guide experience was really a great one and we would feel secure in recommending your company to anyone interested on visiting your fascinating country. Once again thank you so much for being there for us. At the end of our letter you might want our home town, it's Moreno Valley, California and our email is HERnME@adelphia.net If anyone were to contact us we would absolutely give Travel China Guide a very favorable review. If you decide to use our letter please let me know. I would like to see it on your website. Happiest of the Holiday season to one and all. As promised here is a link to our pictures of our wonderful 12 day Private Tour of China. We have been telling all our friends and family what a great job Travel China Guide did for us - as we always say about Travel China Guide "over and above our expectations". 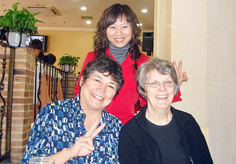 Our guides Coco in Shanghai, Laura in Guilin/Yangshuo, Cindy in Xi'an and Hua in Beijing were outstanding. What impressed us the most was how knowledgeable and friendly our guides were and their English was really good. China is really an amazing place and all the arrangements that Travel China Guide did for us were first class. Our hotels, our meals and our entertainment were all wonderful. A special thanks to our drivers that were always courteous, on time and wonderful drivers, we always felt safe. I think you will see from our pictures how much fun we had and we would, of course, recommend your company - Travel China Guide to anyone that is interested in going to China. We were extremely pleased with our visit and should we go to your countr again, we will use your services again. And, we will recommend that our friends use your services as well. Our 5 guides in 5 cities were outstanding. They were knowledgeable, did more than asked and answered all of our questions clearly. All of our transportation was handled without a hitch. Thank you for the great care you pay to details. Sorry for getting back to you after a couple of months, but our traveling did not end in China, therefore we are just returning home these days. I am happy to write some comments about our trip to China that you kindly helped us organizing. 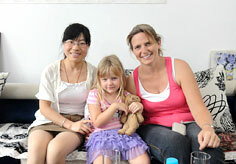 First of all, I would like to tell you that we loved China and we were VERY satisfied with the service of your agency. I did not know the agency, found you through Google, therefore was not sure of the turnout - but amazingly we felt very lucky and absolutely well taken care of. We were very tired from work and we felt that everything was well set and we were there just for enjoyment. Thank you! 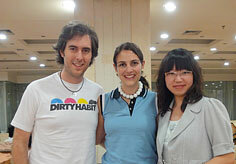 I will certainly recommend Travel China Guide to our friends traveling to your country. As independent travelers we were very pleased of your organizational efforts which were flowless: we never had to wait for a guide, a driver, and no piece of our trip was left unplanned or uncertain. Everything went really really well and we truly enjoyed the trip. Having said that, I certainly am happy to comment on various aspects of the journey. Itinerary: in terms of itinerary, we liked very much the various parts of the country that we saw. Having the chance to travel east to west and north to south truly gave us a deeper understanding of China and of its culture. Wonderful overall. As a suggestion for improvement, I would say that the time spent in Turpan could have been better organized: I believe it would have been better to leave Urumqi the day of arrival straight to Turpan (given that we had no sightseeing in the city or in the outskirts), spent one day visiting the main sites of Turpan (grottoes, flaming mountains, remains of the old city, etc) and then to spend the second day perhaps in an outing - I hear there are very beautiful sights such as Tuyoq and surroundings, about 2 hours from the city. Instead we felt like the half day in Urumqi was sort of wasted, and so the second day in Turpan, as all we did was going to see the irrigation system (very interesting, but half hour would have been enough for a visit) and a silk factory. So we ended up spending a lot of time waiting around which was a bit of a waste given the amazing corner of the world we were in. Other than this, everything else went very well and we enjoyed the rest of the itinerary very much. Hotels: the hotels you set up for us were mostly very pleasant, well located, comfortable. The hotel in Beijing was very comfortable and offered great breakfast. The hotel in Urumqi and in Turpan were basic but fine. Dunhuang was excellent: gorgeous hotel room and very convenient location close to the night market. We loved it! The hotel in Xian was also very comfortable, great location and fantastic breakfast buffet. Unfortunately they offered us a room which turned out to be very stinking (of smoke) during the night - we are not sure why, possibly the air condioning system? You may want to beware for next bookings. The cruise was also clean and fairly comfortable. The hotel in Hong Kong was very exciting. We got a wonderful bedroom (it was defintely most worthy getting the bay view: highly highly reccomend it! ), very modern, very clean, quiet, absolutely amazing view. The gym/ spa facility was great, and the staff extremely kind and helpful. The breakfast buffet very rich and enjoyable. The lounge on the top floor exciting and with good athmosphere. The location is perfect for enjoying both Kowloon and Hong Kong island. Just perfect. Transport: all transport was very well arranged. The airplane trips were well arranged and the guides always helped us getting through check in (which in some places looked challenging!) with no problem. We encountered no delays and the service in airports and on board was kind and helpful in every segment. The train trip was also very safe, the train was in relatively clean conditions, and it would have been safe to ride alone (even for a woman -maybe some travelers are interested in this information). The drivers we had did not speak English but were all very kind. The cars in good conditions. We were offered water in some trips ie. Beijing, Urumqi, Turpan, Xian, Shanghai and Hong Kong. It is a very good idea to actually offer bottled water. Their driving was generally safe (in Dunhuang it was a bit reckless across the desert... but we survived!). Food: overall food was a great experience. We enjoyed it very much! (and probably ate too much). The quality and variety of food was striking, we were never sick from it. Most meals were good, some were excellent. Our favorite meal in Beijing was at the Simatai Great Wall restaurant as well as the Duck dinner. The other meals were ok. In Turpan the food was good, although at the time we wished to have more local food (mutton, etc) rather than what was offered to us which was generic chinese food. In Xian we had one oustanding a la carte dinner at the 'famous Cantonese restaurant'. The buffet meal in Chongqing was very good. The food we were offered in the cruise was incredibly fresh, varied and tasty. Truly excellent, from breakfast to dinner. The restaurant in Wuhan was fine. In Shanghai both lunch and dinner (served at the Wang Bao He restaurant) were also excellent. For breakfast see hotels section. I hope the comments above will be useful for the purpose of improving your already excellent services. We have not developed pictures yet, but we will share some when we do. Feel free to post our comments in your website, but for privacy purposes please sign the comments just with our first names (Alessandra and JC), and do NOT post our email address. Thank you very much, and looking forward to visiting China again in the future.